Yardworx has been your trusted Landscaping Calgary and Edmonton company since 1989. We offer year-round, full service with an extensive team of landscaping professionals. Yardworx partners with experienced operators – owning their own equipment and business. The relationship between Yardworx and the crews is continually being streamlined. We work together to achieve better efficiency and client satisfaction. Our company is dedicated to the growing needs of landscaping services in & Edmonton. Our years of experience and excellent customer support set us apart in the industry. We take pride in our work and enjoy working with our clients to help create a great landscape that everyone deserves. Our quality landscaping installations will give you lasting beauty and leave you knowing you chose the right landscaper in Calgary & Edmonton. We offer a variety of ground maintenance services to deliver a high level of aesthetic for your property. Yardworx professionals provide the highest quality of wellness and longevity for your lawn and garden. The ultimate beauty of your property requires skillful and experienced practices. We provide different commercial service packages that can be customized for your needs and your property’s requirements. 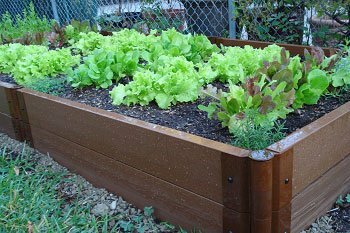 Yardworx supplies & installs container gardens, customized for your garden’s size and needs. We provide your garden with good quality soil and the perfect containers for any size of yard, patio or balcony. Save a considerable amount of money with your own pesticide-free food and enjoy the freshest, healthiest product right from your own yard.